Want to buy a motorcycle company? How many of us have mouthed off about what we'd do if we owned a motorcycle company? Well, now you have a chance to put money where your mouth is. Assuming you can raise the money, of course. 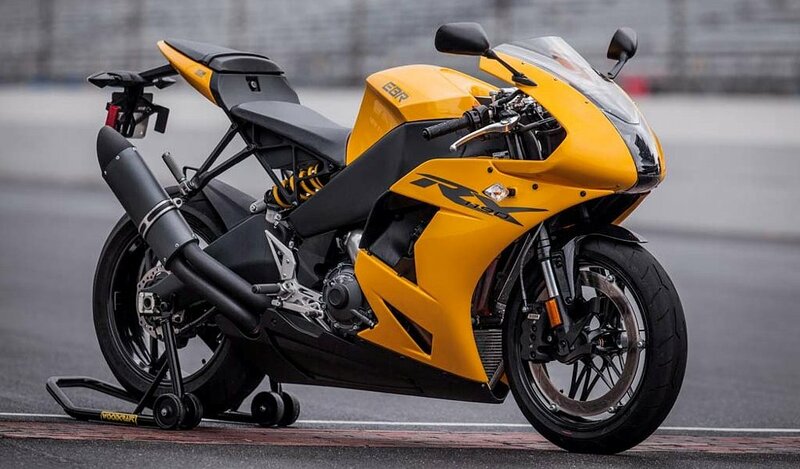 The receiver put in charge of Erik Buell Racing after the company declared bankruptcy earlier this year has decided to try to auction off the entire operation in one lot, instead of selling it off in bits and pieces. One bidder can buy the entire package: the intellectual rights, the parts, the bikes, the machinery, everything. EBR posted the news on its Facebook page. The auction is scheduled for Tuesday and the bankruptcy court must approve any bid. Some have speculated that Polaris could make a bid for the remains of Buell, just as it bought Indian and Brammo — an historic brand tarnished by previous failed "comebacks" and a high-tech company that was having trouble delivering on its promises of electric motorcycles. Could Polaris do the same for EBR? Consider me skeptical. I'd be more inclined to take the other side of that "crate of beer" bet. And really, I hope I'm wrong. It would be more satisfying to see the company sold as a whole to someone who can make something of it than to see the carcass torn apart by vultures, even if I were one of the vultures trying to pick up a cheap bike or a keepsake at the auction. Think you know how a motorcycle company should be run? Prepare your bid.